The modern life is all about the internet. Whether you’re a starting entrepreneur or a seasoned businessman, having a substantial web presence is crucial for your business. Thanks to cutting edge innovations in the tech world alongside decreasing price of resources, today, it’s not a big deal to make your presence on the internet permanent. However, not all websites are equal – both in intention and execution. Your website needs to be curated based on your business and your targeted markets. Sadly, finding the perfect web service provider is no child’s play. Luckily, if your business is based on Florida, in this guide, you will find all the necessary instructions for choosing the best web development company in Florida. Stay with us throughout this short post to learn how to select the best web design company in Florida. Getting a quality website is not an expenses but rather an investment. When choosing the perfect web development company in Florida for your new website, if you need affordable eCommerce website for small business owner.we recommend you keep in mind the below bits of advice, curated especially for you by our expert business analysts. No matter where you’re going to get your required web services, finalizing a viable budget is a must for all. Thankfully, you can easily get a decent web development company for even the tightest of the budget. However, if you are able to squeeze in some extra cash, we’ll always recommend you to go for the premium services. Although remember, in such cases, a flagship web design company in Florida will charge considerably higher. After you’ve locked down some potential web service providers, you need to get a quotation from each of them. Compare their quote with your budget and determine which company offers the most optimal solution. Remember to ask the other parts necessary financial questions like what’s included within this pricing, whether they’re going to charge for installment and maintenance and such. Make sure to identify if there’s any hidden charge in the business clause the company is offering. After you’ve found the perfect web service provider for your budget, it’s now time to check out their earlier projects and assess them. 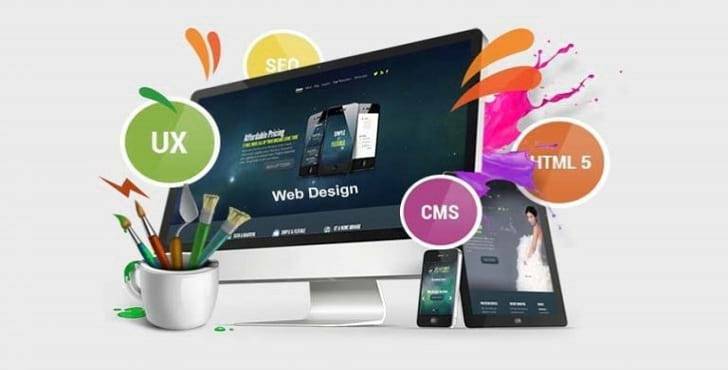 It will provide you with the necessary insights required to understand if they are the best web design company in Florida for your business need or not. We recommend you assess their past projects that are similar and within the domain of your existing web project. It is always a great idea to go the extra mile and sit together with past clients of a particular company. Past clients will let you know whether they are satisfied with the company’s service or not. It’s only after going through a set of earlier customers that you can determine whether the said web solution provider can live up to your requirements or not. It’s a very crucial step when selecting on a particular web solution provider over the other, and sadly, many a customer makes the mistake of overlooking this. After you’ve successfully managed to find the best web development company for your business need, make sure that you settle a mutually agreed and concrete deadline. Our experts suggest you ask for an Agile development style that will make sure you get a continuous picture of how your project looks in every week or month. On the other hand, if a dedicated final deadline is agreed by you and the service provider, you need to make it clear that it be delivered within the due date.When choosing the most suited web development company in Florida, you need to look out for the tips as mentioned above for maximizing your chance of establishing a successful online repertoire. We highly recommend you make your decision based on your area of business, budget, and preferences. People, who have successfully found the right web design company in Florida, often praised the valuable insights our writers provided them. Hopefully, you’ll too!